On November 10 and 11, there will be a workshop targeted to high school age youth called Future Generation: A Glass Student Workshop at The Crucible in Oakland, CA. 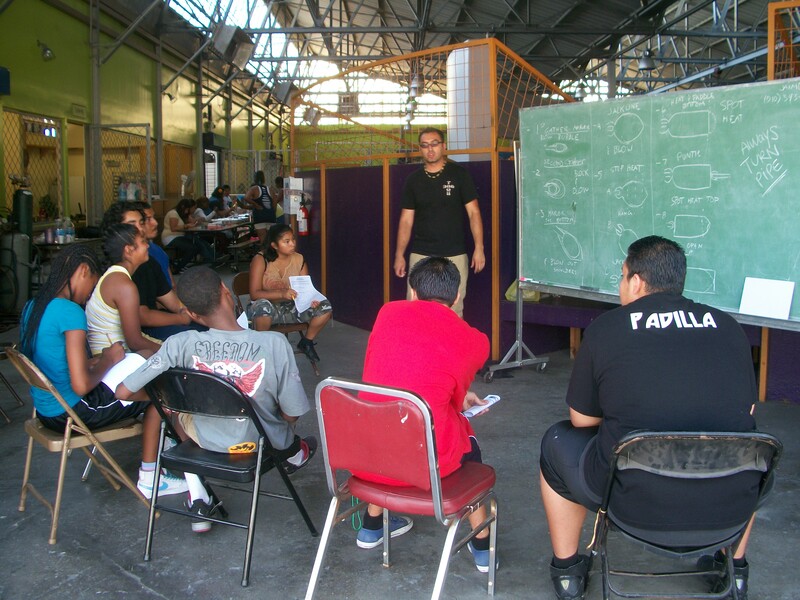 The workshop is a partnership between The Crucible Youth Glass Program and Jaime Guerrero, the Director of the Mudtown Glass Department at Watts Labor Community Action Committee (http://wlcac.org). It is part of a larger symposium clebrating California’s Contributions: 50 Years Anniversary of Studio Glass. The goal of the workshop is to bring together a group of at risk youth glass artists from Oakland and Watts who will have the opportunity to gain personal instruction from leading glass artists from throughout California. Within the context of the larger conference, our goal is to create a forum for approximately 28 youth to participate in the weekend workshops, meet each other, and have the opportunity to learn and speak with active glass professionals. Most of the students will be from under-represented or under-served youth populations within the greater California glass community. 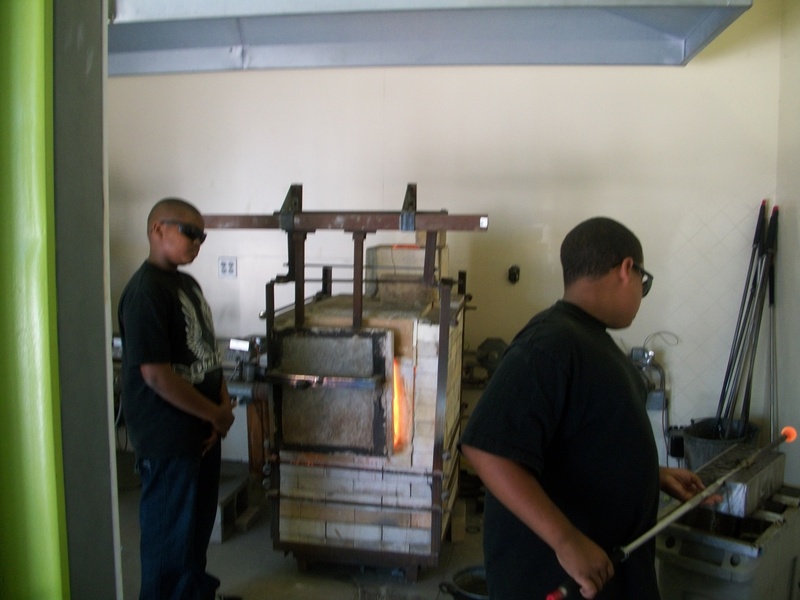 The Watts Mudtown youth glass blowing team will give a hot demo for the rest of the conference on Sunday afternoon, Nov. 11. The Future Generation: A Glass Student Workshop is made possible by the generous support from the Clay and Glass Arts Foundation. Demographics of the current students: 75% African American; 20% Latino and 5% Caucasian. 15% Female and 85% Male, Ages 12-16.This program is located in Council District 15, which is part of the L.A. area known as Watts. The residents comprise a variety of socioeconomic and ethnic population/backgrounds (children, youth, seniors, parents and other community members). The median income level is $29,220 compared to the Los Angeles County-wide average of $53,000 (US Census, 2000).The Greater Watts area is also home to two of the largest public housing complexes in the City of Los Angeles and collectively accounts for 37% of all public housing units and serves families with very low income. One of the public housing units is Jordan Downs, the second most dense public housing development in Los Angeles (www.hacla.org). An estimated 39.9% of area residents live in poverty, representing 17.6% of all Los Angeles County residents living in poverty (U.S. Census, 2000). The Community Fact Finder reports there are 14,688 people of whom 6,133 or 42% live below the poverty line.The Glass Blowing classes encourage a therapeutic outlet for residents living in these extreme conditions. Participants are primarily drawn from local residents within the boundaries of Martin Luther King Jr. Boulevard to the north, 120th Street to the south, Van Ness Avenue to the west, and Alameda Boulevard to the east. These neighborhoods of South Central Los Angeles are home to over 30,000 poor and working class families, primarily Latino and African-American. The target audience for the glass blowing classes comprises the following: 50% Students (elementary school to university level); 40% Parents and adults (including professionals, artists, and educators); 10% Seniors (aged 65 and older). Jaime is an award winning Los Angeles born artist, working in the medium of glass. He attended California College of Arts and Crafts in Oakland, California. Initially, Jaime wanted to pursue sculpture, painting and ceramics. By chance, he walked into the glass department and was intrigued by what he saw and eventually mastered the art form. Although he grew up in the Los Angeles area, it was during his college years in Oakland that he was exposed to the inequities of arts education in terms of socio-economic and class backgrounds. This experience inspired his return to his hometown to teach this unique art form. He recognized how its transformative process could assist local community members in dealing with the daily trials of life. 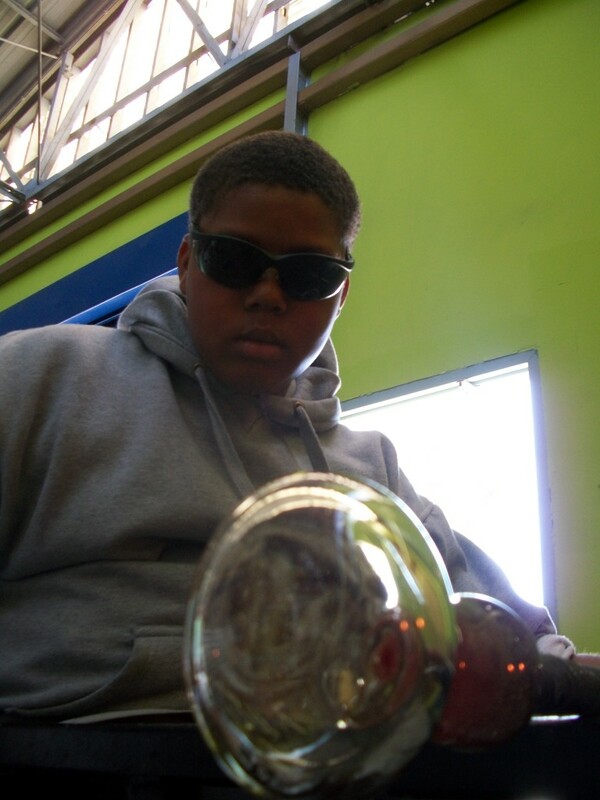 Fortunately, when Jaime was searching for a location, he was introduced to Timothy Watkins of WLCAC and its glass blowing facilities. 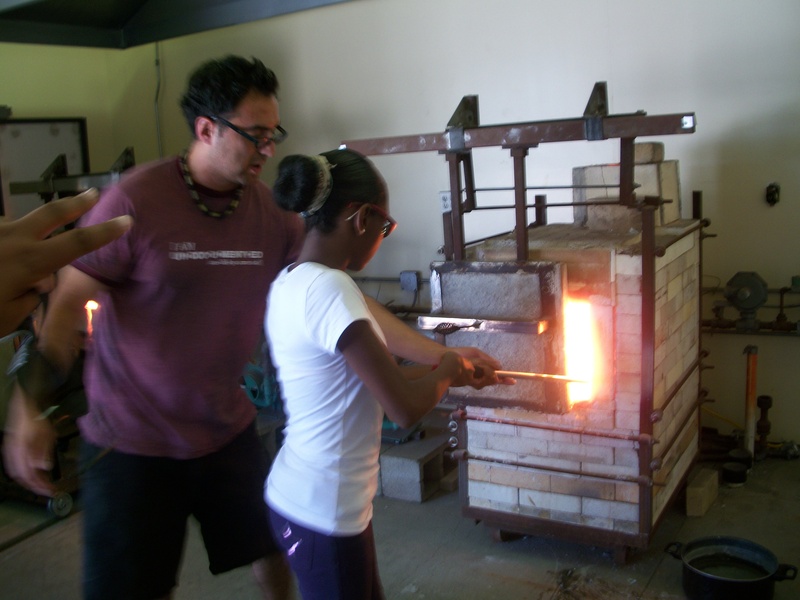 Guerrero has been teaching glassblowing classes at WLCAC for the past two years. In addition to teaching in Watts, Jaime is a regularly exhibiting artist and is represented by several galleries in the Bay Area of California, Hawk Gallery in Columbus, Ohio and Galerie Vee in Hong Kong. This entry was posted in PressKit by barbara_barnett. Bookmark the permalink.